You say potato, I say po-TAH-to. The other day I saw a box of dried leaves labeled “Jew mallow” in the supermarket, and was baffled. What on earth was a mallow, and what made it Jewish? They looked like oversized tea leaves, in a box big enough to make about a thousand cups of tea. Curious. This in Lebanon, a country that is not even on speaking terms with its Jewish neighbor to the south. What gives? Are mallow and yams some kind of Jewish specialty? When in doubt, Google to the rescue. According to The Free Dictionary, Jew’s mallow is “an annual herb (Corchorus olitorius) cultivated in Syria and Egypt as a pot herb, and in India for its fiber.” Some say that the name “Jew’s mallow” comes from the term “jute mallow,” while others assert that the name for its role as a food staple in ancient Jewish cuisine. It’s a cousin of the plant that used to be an ingredient of marshmallow. It’s also a bit like spinach, and is sometimes also called Egyptian spinach. Here in Lebanon, Jew mallow is normally called by its Arabic name, mouloukhieh. It is used in a dish of the same name, together with rice, and chicken or meat. I have yet to try it, because mouloukhieh is one of myriad Lebanese specialties that seems to be only be made at home (restaurants generally stick to a repertoire of mezze and grilled meats). I found a recipe online for the dish. Maybe I’ll try it one day. But I might have the chance a lot sooner if you know of a restaurant in Beirut that serves it…. I couldn’t, however, find a mention online of “Jew potatoes” (although I did come up with lots of recipes for latkes using sweet potatoes). I was stumped. I returned to my grocery store yesterday, looking for those orange-fleshed sweet potatoes to make for Thanksgiving. Panic set in when I realized that the small supply had been wiped out. I resigned myself to a sweet potato quest through the supermarkets of Beirut, and headed to the counter where a young woman weighs and prices your bags of produce. Next to her scale was a Styrofoam tray of five sweet potatoes wrapped in plastic wrap. I quickly poked through to check if the potato was white or orange inside. Orange! The remaining stock of “Jew potatoes.” We would have my famous Bourbon Yams this Thanksgiving after all. Don’t take my word for it (especially since I’ve yet to visit Barcelona), but take the word of the readers of the upscale travel magazine Conde Nast Traveler, whose votes placed Beirut 20th in the top 25 cities of the world – tying with Seville, and placing ahead of Paris, Venice and Barcelona. Wow. As happy as I am living in Beirut, I have to admit I was pretty surprised by the ranking. My parents are currently visiting, and we are sightseeing every day while the kids are at school. 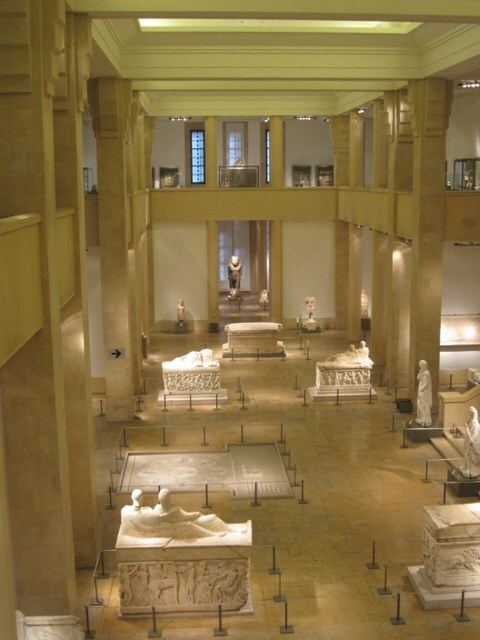 Last week at the gorgeous National Museum in Beirut we saw just one group of foreign tourists (a busload of Koreans) in the two hours we were there. The National Museum sees more school groups than tourists, and was nearly empty during our visit. While sightseeing downtown on Monday, there was another obvious foreign tourist that we kept bumping into at each mosque and church we stepped into. Him and the three of us. Hardly the crowds that swarm Paris or Venice or Barcelona. Nary a tourist in sight at downtown’s Plaza Nejmeh. Where are these readers that voted Beirut so highly? 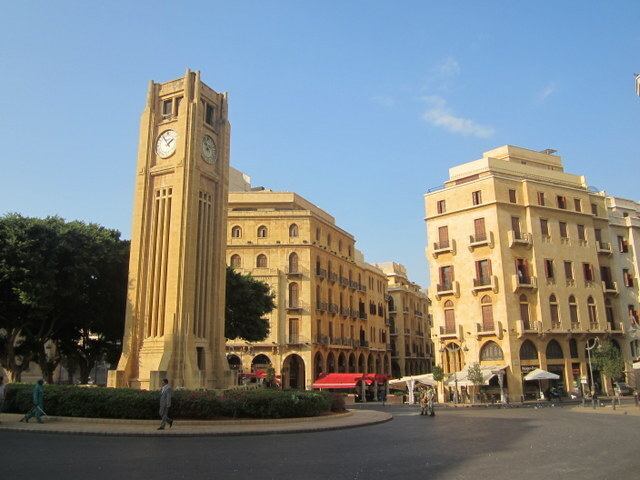 Beirut has a lot to offer, but don’t take my word for it. And maybe you shouldn’t take the word of Conde Nast Traveler readers either. Come and check it out, and you’ll have the place all to yourself to enjoy.